The Eat-Lancet commission has produced its report on how to feed the likely population of 10 billion people by year 2050, with more regard for the impact on our beautiful planet Earth. 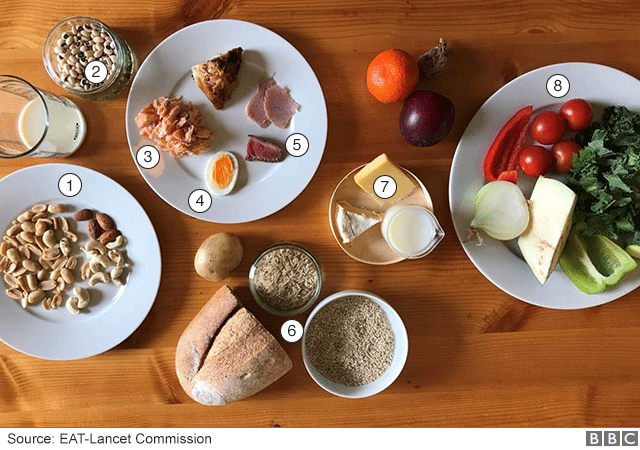 ( their report https://eatforum.org/eat-lancet-commission/). This sounds a perfect plan to me, living in a small town surrounded by mixed farm land. Free range and barn-housed poultry (very well protected by RSPCA guidelines) have minimal environmental impact compared to the beef and dairy 'industries'. Agriculture, human nutrition, climate change and sustainability are all addressed by the study, and the results point to improved health all around. The ideal diet isn't quite vegan, but most considerate food shopping certainly is. 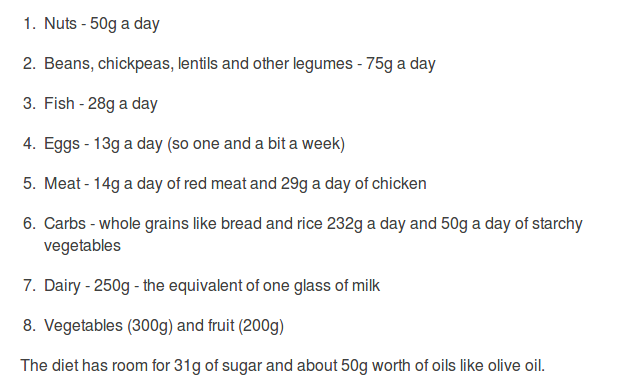 Personally, I'd quit the dairy food, and add seeds (and their oils) like flax (aka linseed), sunflower and rapeseed. In other countries olive and grape seed oil is plentiful. Those in the know are aware that foods grown using my Monsanto chemicals provide the nutrition needed by all humans. These foods are sold in brightly coloUred containers which attract the youth. I advise consuming dairy daily. My factory herds are given only the finest antibiotics and chemically engineered grains to provide a healthy life. Fine satire, Lord Dutchbog! I have reason to believe that you are in truth a keen gardener, protector of wildlife, bane of Walmart and admirer of organic, non-GMO beer. Very thoughtful of you to use the English spelling of colOr - I wish I could do bedder, maybe fonettick Hill Annoy?